Securitisation and Reconstruction of Financial Assets and Enforcement of Securities Interest Act, 2002 - Security Interest (Enforcement) Rules, 2002 - the borrower/debtor can approach the Debts Recovery Tribunal under section 17 of the Act at the stage of the possession notice referred to in rule 8(1) and 8(2) of the 2002 Rules. (R.F. Nariman) and (Navin Sinha) JJ. (a) The remedy of an application under Section 17(1) is available only after the measures under Section 13(4) have been taken by the Bank/FIs against the borrower. 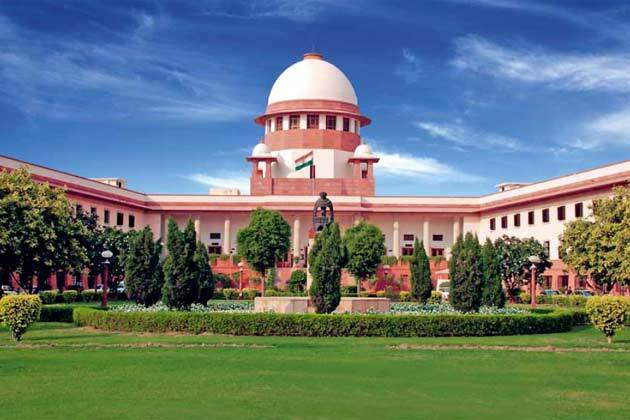 (b) The issue of notice under Section 13(2) to the borrower and communication contemplated by Section 13(3-A) stating that his representation/objection is not acceptable ortenable, does not attract the application of principles of natural justice. In other words, no recourse to an application under Section 17(1), at that stage, is available/maintainable. (c) The borrower/person against whom measures under Section 13(4) of the Act are likely to be taken, cannot be denied to know the reason why his application or objections have not been accepted, as a fulfilment of the requirement of reasonableness and fairness in dealing with the same. (d) One of the reasons for providing procedure under Section 13(4) read with Rule 8 for taking possession is that the borrower should have a clear notice before the date and time of sale/transfer of the secured assets, in order to enable him to tender the dues of the secured creditor with all other charges or to take a remedy under Section 17, at appropriate stage. (e) The time of 60 days is provided after the “measures” under Section 13(4) have been taken so as to enable the borrower to approach DRT and in such an eventuality, the DRT shall have a jurisdiction to pass any order/interim order, may be subject to conditions, on the application under Section 17(1) of the Act. (f) The scheme of relevant provisions of the Act and the Rules shows that the Bank/FIs have been conferred with powers to take physical (actual) possession of the secured assets without interference of the Court and the only remedy open to the borrower is to approach DRT challenging such an action/measure and seeking appropriate relief, including restoration of possession, even after transfer of the secured assets by way of sale/lease, on the ground that the procedure for taking possession or dispossessing the borrower was not in accordance with the provisions of the Act/Rules. (g) If the dues of the secured creditor together with all costs, charges and expenses incurred by them are tendered to them (secured creditors) before the date fixed for sale or transfer, the assets shall not be sold or transferred and in such an eventuality, possession can also be restored to the borrower. (h) If the possession is taken before confirmation of sale, it cannot be stated that the right of the borrower to get the dispute adjudicated upon is defeated. The borrower's right to get back possession even after the sale remains intact or stands recognised under the scheme of the provisions of the Act. (i) The borrower is not entitled to challenge the reasons communicated or likely measure, to be taken by the secured creditor under Section 13(4) of the Act, unless his right to approach DRT, as provided for under Section 17(1), matures. The borrower gets all the opportunities, at different stages, either to clear the dues or to challenge the measures under Section 13(4) or even to challenge the reasons rejecting his objections/not accepting the objections, after the measures under Section 13(4) have been taken. (j) While the banks have been vested with stringent powers for recovery of their dues, safeguards have also been provided for rectifying any error or wrongful use of such powers by vesting DRT with authority, after conducting an adjudication into the matters, to declare any such action invalid and also to restore even though the possession may have been made over to the transferee. (k) The safeguards provided under the scheme make it further clear that if the Bank/FIs proceeds to take actual possession of the assets that cannot be stalled by the interference of a Court. (l) If DRT after examining the facts and circumstances of the case and on the basis of evidence produced by the parties, comes to the conclusion that any of the measures referred to in Section 13(4), taken by the secured creditor is not in accordance with the provisions of the Act, it may by order declare that the recourse taken to any one or more measures is invalid and restore possession to the borrower. (m) Any transfer of secured asset after taking possession thereof by the secured creditor shall vest in the transferee all rights in, or in relation to the secured asset as if the transfer had been made by the owner of such secured assets. “31. Section 13(4) of the Act provides that if the borrower fails to discharge his liability within the period prescribed under Section 13(2), the secured creditor can take recourse to one of the measures, such as taking possession of the secured assets, including the right to transfer by way of lease, assignment or sale for realising the secured asset. From the language of this provision, it is further clear that taking measure under Section 13(4)(a) would mean taking actual (physical) possession, and if we do not read it in the said provision to say so, the right and power of the secured creditor to transfer the assets by way of lease, assignment or sale forrealizing the secured assets, as provided for therein, would render redundant. In other words, putting such an interpretation on the language of Section 13(4) of the Act would be atrocious and would defeat the very objective of bringing the legislation. It is, therefore, not possible to hold that taking “measures” under Section 13(4)(a) also means taking only “symbolic possession” and not “physical possession”. We record further reasons to say so in following paragraph. From the scheme of Section 13(4) and Sections 14 and 17 of the Act and the relevant Rules 8 and 9 of the Rules, it appears to us that unless physical possession is taken, the measure, contemplated under Section 13(4), cannot be stated to have been taken. 31.1. One of the rights conferred on a secured creditor is to transfer by way of lease, the secured asset, possession or management whereof has been taken under clauses (a) or (b) of sub-section (4) of Section 13. We have already held that sale or assignment of the secured assets could only be undertaken if actual physical possession has been taken over by the bank/FI’s. If we pose a question whether right to transfer the secured assets by way of lease could be exercised without taking actual physical possession of the secured asset or management of the business of the borrower, our answer would be obviously in the negative. 31.2. The word ‘lease’ has not been defined under the Act, but it has been used in the Act in the same sense as under the Transfer of Property Act, 1882. Thereunder, Section 105 defines lease as “transfer of a right to enjoy such property, made for a certain time, express or implied, or in perpetuity, in consideration of a price paid or promised, or of money, a share of crops, service or any other thing of value, to be rendered periodically or on specified occasions to the transferor by the transferee, whoaccepts the transfer on such terms. Lease is a contract between the lessor and the lessee for the possession and profits of land, etc. on one side and the recompense by rent or other consideration on the other. The estate transferred to the lessee is called the leasehold. The estate remaining in the lessor is called the reversion. “A lease is a transfer of an interest in land. The interested transferred is called the leasehold interest. The lessor parts with his right to enjoy the property during the term of the lease, and it follows from it that the lessee gets that right to the exclusion of the lessor. 31.4. One of the essential indicia of lease is parting of exclusive possession by the lessor to the lessee with conferment of reciprocal right in the lessee to protect his possession during subsistence of the lease to the exclusion of the lessor. Although in some cases, a licensee may also be given exclusive possession of a property, but as observed above, parting of exclusive possession to the lessee is a sine qua non for creating a valid lease. Thus, where a person is not in physical possession of a property nor in a position to deliver physical possession in future, he is incompetent to create a valid lease. The reason being that he is not in a position to confer upon the lessee the right to enjoy the property to the exclusion of the lessor and everyone else. “34. Thus, the scheme of the provisions of Sections 13 and 17 of the Act, read with Rules 8 and 9 of the Rules, would show that the “measure” taken under Section 13(4)(a) read with Rule 8 would not be complete unless actual (physical) possession of thesecured assets is taken by the Bank/Financial Institutions. In our opinion, taking measure under Section 13(4) means either taking actual/physical possession under clause (a) of sub-section (4) of Section 13 or any other measure under other clauses of this Section and not taking steps to take possession or making unsuccessful attempt to take measure under Section 13(4) of the Act. Similarly, following the procedure laid down under Section 14 and/or Rules 8 and 9, where the Bank meets with resistance, would only mean taking steps to seek possession under Section 13(4)(a) and the “measure” under sub-section (4)(a) of Section 13 would stand concluded only when actual/physical possession is taken or the borrower loses actual/physical possession. It is at this stage alone or thereafter, the borrower can take recourse to the provisions of Section 17(1) of the Act. The transfer of possession is an action. Mere declaration of possession by a notice, in itself, cannot amount to transfer of possession, more particularly where such a notice meets with resistance. When the possession is taken by one party, other party also loses it. In the present case, adversial possession in being claimed by the secured creditor against the borrower. It is not possible that both will have possession over the secured assets. The possession of the secured creditor would only come into place with the dispossession of the borrower. We may also observe that in a securitisation application under Section 17(1), the borrower will have to make a categoric statement that he lost possession or he has been dispossessed and pray for possession. 3. Shri Neeraj Kishan Kaul, learned Senior Advocate, appearing on behalf of the appellants, has placed before us all the relevant sections under the SARFAESI Act as well as the relevant rules under the 2002 Rules. He has referred to the Statement of Objects and Reasons of both the original Act as well as the Amendment Act made in 2004 pursuant to a judgment of this Court in Mardia Chemicals Ltd. v. Union of India, (2004) 4 SCC 311 (“Mardia Chemicals”). According to Shri Kaul, the scheme of section 13 is that a notice of default once served under section 13(2) of the Act may call upon the borrower to discharge in full his liability to the secured creditor within 60 days from the date of notice, failing which the secured creditor shall be entitled to exercise all or any of the rights under sub-section (4) of section 13. He relied upon section 13(3-A) which made it clear that even though reasons are communicated under the said sub-section, since no measureswere actually taken under section 13(4), there is no right at that stage for the borrower to prefer an application to the Debts Recovery Tribunal under section 17 of the Act. According to the learned Senior Advocate, section 13(4)(a) makes it clear that “possession” of the secured assets of the borrower may be taken under this provision. Obviously, such possession is to be taken under the rules framed under the Act. Rule 8(1) makes it clear that possession is taken under the 2002 Rules by delivering a possession notice prepared in the form contained in Appendix IV to the rules, and by affixing the notice on the outer door or at such conspicuous place of the property. Once this is done, and the possession notice is published in two leading newspapers under sub-rule (2), the form contained in Appendix IV makes it clear that notice is given to the public in general that possession has been taken in exercise of powers contained under section 13(4) of the Act read with rule 8 of the 2002 Rules. As soon as this takes place, according to Shri Kaul, since “symbolic possession” has been so taken, the right of the borrower to approach the Debts Recovery Tribunal for relief under section 17 gets crystallized. He also relied uponsub-rule (3) to argue that possession may be taken under this sub-rule which is “actual” as opposed to “symbolic” possession under sub-rule (1). According to the learned Senior Advocate, the moment possession is taken either under rule 8(1) or under rule 8(3), section 13(6) gets attracted thereby making it clear that a transfer of secured asset, after taking such possession, shall vest in the transferee all rights in, or in relation to, the secured asset transferred as if the transfer had been made by the owner of such secured asset. According to Shri Kaul, after symbolic possession is taken under rule 8(1), rules 8(5) to 8(8) and rule 9 can then be followed in order to effect sale of property of which symbolic possession has been taken. Shri Kaul attacked the judgment of the Full Bench, stating that the conclusion of the Full Bench that the borrower would have to wait until actual physical possession of the secured asset is taken would create great hardship in that a running business of the borrower would be taken over without the borrower being able to approach the Debts Recovery Tribunal, and would have to wait until after the sale takes place to recover possession under section 17(3), even if he is able to show that the stepstaken by the secured creditor are in violation of the provisions of the Act. Thus, if symbolic possession is taken contrary to section 13(2) prior to 60 days from the date of the notice mentioned therein, all borrowers would have to wait until physical possession is taken and/or a sale notice is issued to get back their running business after the business is brought to a grinding halt. This could not possibly have been the intention of the legislature. 4. Shri C.U. Singh, learned Senior Advocate, appearing on behalf of respondent no. 2, took us through the statutory provisions and the 2002 Rules and argued that the High Court may have gone beyond what was argued by his predecessor before the High Court. Shri Singh emphasised that his limited argument before this Court is that the stage of symbolic possession is not a stage at which any prejudice is caused to the borrower as he may continue to run his business. Section 13(6) does not come in at this stage at all, and section 13(13), which interdicts a borrower after receipt of a notice under section 13(2) to transfer by way of sale, lease or otherwise,other than in the ordinary course of business, any of his secured assets without prior written consent of the secured creditor, is the only restraint that continues to attach after symbolic possession is taken. According to him, as no prejudice is caused to the borrower at this stage, it is clear that “possession” spoken of in section 13(4) can only mean actual physical possession. This becomes clear on a reading of section 13(4)(c) which makes it clear that a manager can only manage the secured assets the possession of which has been taken over by the secured creditor, if actual physical possession has been parted with. According to the learned Senior Advocate, therefore, the object of the Act will be defeated if a debtor can approach the Debts Recovery Tribunal at such stage when no prejudice is caused to him, thereby rendering what is statutorily granted to a creditor futile. He relied upon observations in various Supreme Court judgments to buttress his stand that it is only at the stage of actual physical possession that an application can be filed under section 17 and not before. 5. Shri Ranjit Kumar, learned Senior Advocate, appearing on behalf of the respondents in Civil Appeal arising out of SLP(C) No.12841 of 2018, went on to argue that all the sub-clauses in section 13(4) must be construed together. If that is done, it is clear that under sub-clauses (b) and (c), management and possession must physically be taken over. Therefore, under sub-clause (a), the expression “possession” must also mean actual physical possession. According to the learned Senior Advocate, the measures taken under section 13 must also be read with sections 14 and 15. It is clear that under section 14, actual physical possession is to be handed over by the Chief Metropolitan Magistrate or the District Magistrate to the secured creditor, and under section 15, management of the business has actually to be taken over as two managements cannot possibly continue at the same time. Read in this light, the scheme of the Act, therefore, is clear and it becomes equally clear that only actual physical possession is referred to in section 13(4)(a) before a section 17 application can be filed. He also referred to section 17(3) to further argue that restoration of possession of secured assets could only refer torestoration of actual physical possession thereby strengthening his interpretation of sections 13 and 17 of the Act. According to him, under section 19, compensation is also payable where possession taken is not in accordance with the provisions of the Act and 2002 Rules, again making it clear that when the Court or Tribunal directs the secured creditor to return such secured asset to the borrowers, compensation may be paid. Returning secured assets obviously would mean assets of which physical possession has been taken. When it came to reading rules 8(1) and 8(3) of the 2002 Rules, according to Shri Ranjit Kumar, rule 8(3) is the next step after symbolic possession is taken over under rule 8(1), and without taking of actual physical possession under rule 8(3), no sale can be made of any secured assets. Like Shri C.U. Singh before him, he agreed that the High Court had perhaps gone a little too far in its conclusion, and that the moment any real prejudice is caused to the borrower, the borrower can certainly approach the Tribunal. This would also include the stage at which a sale notice is issued under rule 8. 6. Shri Ashish Dholakia, learned Advocate, appearing for the intervenor, State Bank of India, referred to the objects of the 2002 Act and relied upon the judgment of this Court in Standard Chartered Bank v. V. Noble Kumar & Ors., (2013) 9 SCC 620 (“Noble Kumar”). He argued that if we were to grant an opportunity to a debtor to approach the Tribunal at the stage of symbolic possession, there would be little difference between the Recovery of Debts Due to Banks and Financial Institutions Act, 1993 (hereinafter referred to as the “Recovery of Debts Act”) and the SARFAESI Act, and thus, we would destroy the very object for which the SARFAESI Act was enacted, namely, so that banks could recover their debts by selling properties outside the court process, something that the Recovery of Debts Act did not envisage. He also referred to and relied upon section 3 of the Transfer of Property Act for the definition of “a person is said to have notice” and Explanation II in particular, which referred to actual possession. According to him therefore, the correct stage would be the stage at which actual physical possession has been taken, upon which adebtor may then approach the Debts Recovery Tribunal under section 17. “Statement of Objects and Reasons.—The financial sector has been one of the key drivers in India's efforts to achieve success in rapidly developing its economy. While the banking industry in India is progressively complying with the international prudential norms and accounting practices there are certain areas in which the banking and financial sector do not have a level playing field as compared to other participants in the financial markets in the world. There is no legal provision for facilitating securitisation of financial assets of banks and financial institutions. Further, unlike international banks, the banks and financial institutions in India do not have power to take possession of securities and sell them. Our existing legal framework relating to commercial transactions has not kept pace with the changing commercial practices and financial sector reforms. This has resulted in slow pace of recovery of defaulting loans and mounting levels of non-performing assets of banks and financial institutions. Narasimham Committee I and II and Andhyarujina Committee constituted by the Central Government for the purpose of examining banking sector reforms have considered the need for changes in the legal system in respect of these areas. These Committees, inter alia, have suggested enactment of a new legislationfor securitisation and empowering banks and financial institutions to take possession of the securities and to sell them without the intervention of the court. Acting on these suggestions, the Securitisation and Reconstruction of Financial Assets and Enforcement of Security Interest Ordinance, 2002 was promulgated on the 21st June, 2002 to regulate securitisation and reconstruction of financial assets and enforcement of security interest and for matters connected therewith or incidental thereto. The provisions of the Ordinance would enable banks and financial institutions to realise long-term assets, manage problem of liquidity, asset liability mismatches and improve recovery by exercising powers to take possession of securities, sell them and reduce non-performing assets by adopting measures for recovery or reconstruction. (m) non-application of the proposed legislation to security interests in agricultural lands, loans not exceeding Rupees One lakh and cases where eighty per cent of the loans are repaid by the borrower. “13. Enforcement of security interest.—(1) Notwithstanding anything contained in Section 69 or Section 69-A of the Transfer of Property Act, 1882 (4 of 1882), any security interest created in favour of any secured creditor may be enforced, without the intervention of the court or tribunal, by such creditor in accordance with the provisions of this Act. Ins. by Act 44 of 2016, S. 11(i) (w.e.f. 1-9-2016). 2 Ins. by Act 30 of 2004, S. 8 (w.r.e.f. 11-11-2004). 3 Subs. for “within one week” by Act 1 of 2013, S. 5(a) (w.e.f. 15-1-2013). 5[(5-A) Where the sale of an immovable property, for which a reserve price has been specified, has been postponed for want of a bid of an amount not less than such reserve price, it shall be lawful for any officer of the secured creditor, if so authorised by the secured creditor in this behalf, to bid for the immovable property on behalf of the secured creditor at any subsequent sale. (5-B) Where the secured creditor, referred to in subsection (5-A), is declared to be the purchaser of the immovable property at any subsequent sale, the amount of the purchase price shall be adjusted towards the amount of the claim of the secured creditor for which the auction of enforcement of security interest is taken by the secured creditor, under sub-section (4) of Section 13. 6 Subs. for “When the management of business of a borrower is taken over by a secured creditor” by Act 30 of 2004, S. 9 (w.r.e.f. 11-11-2004). 7 Subs. for “securitisation company or a reconstruction company” by Act 44 of 2016, S. 3(i) (w.e.f. 1-9-2016). 8 Subs. for “Right to appeal” by Act 44 of 2016, S. 14(i) (w.e.f. 1-9-2016). 9 Subs. for “may prefer an appeal” by Act 30 of 2004, S. 10 (w.r.e.f. 21-6-2002). 10 Ins. by Act 30 of 2004, S. 10 (w.r.e.f. 21-6-2002). 11 Ins. by Act 30 of 2004, S. 10 (w.r.e.f. 11-11-2004). 12 Ins. by Act 44 of 2016, S. 14(ii) (w.e.f. 1-9-2016). 13[(2) The Debts Recovery Tribunal shall consider whether any of the measures referred to in subsection (4) of Section 13 taken by the secured creditor for enforcement of security are in accordance with the provisions of this Act and the rules made thereunder. 14 Subs. by Act 44 of 2016, S. 14(iii) (w.e.f. 1-9-2016). “(3) If, the Debts Recovery Tribunal, after examining the facts and circumstances of the case and evidence produced by the parties, comes to the conclusion that any of the measures referred to in sub-section (4) of Section 13, taken by the secured creditor are not in accordance with the provisions of this Act and the rules made thereunder, and require restoration of the management of the business to the borrower or restoration of possession of the secured assets to the borrower, it may by order, declare the recourse to any one or more measures referred to in sub-section (4) of Section 13 taken by the secured creditors as invalid and restore the possession of the secured assets to the borrower or restore the management of the business to the borrower, as the case may be, and pass such order as it may consider appropriate and necessary in relation to any of the recourse taken by the secured creditor under sub-section (4) of Section 13.”. (4) If, the Debts Recovery Tribunal declares the recourse taken by a secured creditor under subsection (4) of Section 13, is in accordance with the provisions of this Act and the rules made thereunder, then, notwithstanding anything contained in any other law for the time being in force, the secured creditor shall be entitled to take recourse to one or more of the measures specified under sub-section (4) of Section 13 to recover his secured debt. 15 Ins. by Act 44 of 2016, S. 14(iv) (w.e.f. 1-9-2016). (6) If the application is not disposed of by the Debts Recovery Tribunal within the period of four months as specified in sub-section (5), any party to the application may make an application, in such form as may be prescribed, to the Appellate Tribunal for directing the Debts Recovery Tribunal forexpeditious disposal of the application pending before the Debts Recovery Tribunal and the Appellate Tribunal may, on such application, make an order for expeditious disposal of the pending application by the Debts Recovery Tribunal. “8. Sale of immovable secured assets.—(1) Where the secured asset is an immovable property, the authorised officer shall take or cause to be taken possession, by delivering a possession notice prepared as nearly as possible in Appendix IV to these rules, to the borrower and by affixing the possession notice on the outer door or at such conspicuous place of the property. (2) 16[The possession notice as referred to in subrule (1) shall also be published, as soon as possible but in any case not later than seven days from the date of taking possession, in two leading newspapers], one in vernacular language having sufficient circulation in that locality, by the authorised officer. 16 Subs. for “The possession notice as referred to in sub-rule (1) shall also be published in two leading newspaper” by S.O. 1837(E), dated 26-10-2007 (w.e.f. 26-10-2007). 17 Ins. by G.S.R. 1046(E), dt. 3-11-2016 (w.e.f. 4-11-2016). (3) In the event of possession of immovable property is actually taken by the authorised officer, such property shall be kept in his own custody or in the custody of any person authorised or appointed by him, who shall take as much care of the property in his custody as a owner of ordinary prudence would, under the similar circumstances, take of such property. (4) The authorised officer shall take steps for preservation and protection of secured assets and insure them, if necessary, till they are sold or otherwise disposed of. 18[(c) by holding public auction including through e-auction mode; or] (d) by private treaty. (f) any other thing which the authorised officer considers it material for a purchaser to know in order to judge the nature and value of the property. (7) Every notice of sale shall be affixed on a conspicuous part of the immovable property and may, if the authorised officer deems it fit, put on the website of the secured creditor on the Internet. 19 Subs. for “between the parties in writing” by G.S.R. 1046(E), dt. 3-11-2016 (w.e.f. 4-11-2016). The undersigned being the authorised officer of the ………..…………………. (name of the Institution) under the Securitisation and Reconstruction of Financial Assets and Enforcement of Security Interest 20[Act, 2002 (54 of 2002)] and in exercise of powers conferred under Section 13(12) read with 21[Rule 3] of the Security Interest (Enforcement) Rules, 2002 issued a demand notice dated ………………. calling upon the borrower Shri ………………..………. /M/s ………………………… to repay the amount mentioned in the notice being Rs …………… (in words …………………………) within 60 days from the date of receipt of the said notice. 20 Subs. for “Ordinance” by S.O. 103(E), dated 2-2-2007 (w.e.f. 2-2-2007). 21 Subs. for “Rule 9” by G.S.R. 1046(E), dt. 3-11-2016 (w.e.f. 4-11-2016). 22 Subs. by G.S.R. 1046(E), dt. 3-11-2016 (w.e.f. 4-11-2016). The borrower in particular and the public in general is hereby cautioned not to deal with the property and any dealings with the property will be subject to the charge of the …………..
…………………………. (name of the Institution) for an amount Rs. ……………….. and interest thereon. 23 Ins. by G.S.R. 1046(E), dt. 3-11-2016 (w.e.f. 4-11-2016). All that part and parcel of the property consisting of Flat No. …… /Plot No. ……… In Survey No.…………/City or Town Survey No. ………… /Khasara No. …….…………… within the registration sub-district ……………………. and District …………………..
“48. The next safeguard available to a secured borrower within the framework of the Act is to approach the Debts Recovery Tribunal under Section 17 of the Act. Such a right accrues only after measures are taken under sub-section (4) of Section 13 of the Act. 62. As indicated earlier, the position of the appeal under Section 17 of the Act is like that of a suit in the court of the first instance under the Code of Civil Procedure. No doubt, in suits also it is permissible, in given facts and circumstances and under the provisions of the law to attach the property before a decree is passed or to appoint a receiver and to make a provision by way of interim measure in respect of the property in suit. But for obtaining such orders a case for the same is to be made out in accordance with the relevant provisions under the law. There is no such provision under the Act. 1. Under sub-section (2) of Section 13 it is incumbent upon the secured creditor to serve 60 days’ notice before proceeding to take any of the measures as provided under sub-section (4) of Section 13 of the Act. After service of notice, if the borrower raises any objection or places facts for consideration of the secured creditor, such reply to the notice must be considered with due application of mind and the reasons for not accepting the objections, howsoever brief they may be, must be communicated to the borrower. In connection with this conclusion we have already held a discussion in the earlier part of thejudgment. The reasons so communicated shall only be for the purposes of the information/knowledge of the borrower without giving rise to any right to approach the Debts Recovery Tribunal under Section 17 of the Act, at that stage. 2. As already discussed earlier, on measures having been taken under subsection (4) of Section 13 and before the date of sale/auction of the property it would be open for the borrower to file an appeal (petition) under Section 17 of the Act before the Debts Recovery Tribunal. 3. That the Tribunal in exercise of its ancillary powers shall have jurisdiction to pass any stay/interim order subject to the condition as it may deem fit and proper to impose. 4. In view of the discussion already held in this behalf, we find that the requirement of deposit of 75% of the amount claimed before entertaining an appeal (petition) under Section 17 of the Act is an oppressive, onerous and arbitrary condition against all the canons of reasonableness. Such a condition is invalid and it is liable to be struck down. “Statement of Objects and Reasons.—The Securitisation and Reconstruction of Financial Assets and Enforcement of Security Interest Act, 2002 was enacted to regulate securitisation and reconstruction of financial assets and enforcement of security interest and for matters connected thereto. The Act enables the banks and financial institutions to realise long-term assets, manage problems of liquidity, asset liability mis-match and improve recovery by exercising powers to take possession of securities, sell them and reduce nonperforming assets by adopting measures for recovery or reconstruction. The Act further provides for setting up of asset reconstruction companies which are empowered to take possession of secured assets of the borrower including the right to transfer by way of lease, assignment or sale and realise the secured assets and take over the management of the business of the borrower. (b) observed that in cases where a secured creditor has taken action under sub-section (4) of Section 13 of the said Act, it would be open to borrowers to file appeals under Section 17 of the Act within the limitation as prescribed therefor. It also observed that if the borrower, after service of notice under sub-section (2) of Section 13 of the said Act, raises any objection or places facts for consideration of the secured creditor, such reply to the notice must be considered with due application of mind and the reasons for not accepting the objections, howsoever brief that may be, must be communicated to the borrower. The reasons so communicated shall only be for the purposes of the information/knowledge of the borrower without giving rise to any right to approach the Debts Recovery Tribunal under Section 17 of the Act, at that stage. 3. 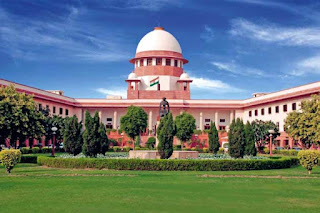 In view of the above judgment of the Hon’ble Supreme Court and also to discourage the borrowers to postpone the repayment of their dues and also enable the secured creditor to speedily recover their debts, if required, by enforcement of security or other measures specified in sub-section (4) of Section 13 of the said Act, it had become necessary to amend the provisions of the said Act. 5. The said Ordinance amends the Securitisation and Reconstruction of Financial Assets andEnforcement of Security Interest Act, 2002, the Recovery of Debts Due to Banks and Financial Institutions Act, 1993 and the Companies Act, 1956. The Act was accordingly amended in accordance with the aforesaid judgment. 9. The judgment in Mardia Chemicals (supra) had made it clear in paragraph 80 that all measures having been takenunder section 13(4), and before the date of sale auction, it would be open for the borrower to file a petition under section 17 of the Act. This paragraph appears to have been missed by the Full Bench in the impugned judgment. 10. A reading of section 13 would make it clear that where a default in repayment of a secured debt or any instalment thereof is made by a borrower, the secured creditor may require the borrower, by notice in writing, to discharge in full his liabilities to the secured creditor within 60 days from the date of notice. It is only when the borrower fails to do so that the secured creditor may have recourse to the provisions contained in section 13(4) of the Act. Section 13(3-A) was inserted by the 2004 Amendment Act, pursuant to Mardia Chemicals (supra), making it clear that if on receipt of the notice under section 13(2), the borrower makes a representation or raises an objection, the secured creditor is to consider such representation or objection and give reasons for nonacceptance. The proviso to section 13(3-A) makes it clear that this would not confer upon the borrower any right to prefer anapplication to the Debts Recovery Tribunal under section 17 as at this stage no action has yet been taken under section 13(4). 11. When we come to section 13(4)(a), what is clear is that the mode of taking possession of the secured assets of the borrower is specified by rule 8. Under section 38 of the Act, the Central Government may make rules to carry out the provisions of the Act. One such rule is rule 8. Rule 8(1) makes it clear that “the authorised officer shall take or cause to be taken possession”. The expression “cause to be taken” only means that the authorised officer need not himself take possession, but may, for example, appoint an agent to do so. What is important is that such taking of possession is effected under sub-rule (1) of rule 8 by delivering a possession notice prepared in accordance with Appendix IV of the 2002 Rules, and by affixing such notice on the outer door or other conspicuous place of the property concerned. Under sub-rule (2), such notice shall also be published within 7 days from the date of such taking of possession in two leading newspapers, one in the vernacular language having sufficient circulation in the locality. This is forthe reason that when we come to Appendix IV, the borrower in particular, and the public in general is cautioned by the said possession notice not to deal with the property as possession of the said property has been taken. This is for the reason that, from this stage on, the secured asset is liable to be sold to realise the debt owed, and title in the asset divested from the borrower and complete title given to the purchaser, as is mentioned in section 13(6) of the Act. There is, thus, a radical change in the borrower dealing with the secured asset from this stage. At the stage of a section 13(2) notice, section 13(13) interdicts the borrower from transferring the secured asset (otherwise than in the ordinary course of his business) without prior written consent of the secured creditor. But once a possession notice is given under rule 8(1) and 8(2) by the secured creditor to the borrower, the borrower cannot deal with the secured asset at all as all further steps to realise the same are to be taken by the secured creditor under the 2002 Rules. 12. Section 19, which is strongly relied upon by Shri Ranjit Kumar, also makes it clear that compensation is receivableunder section 19 only when possession of secured assets is not in accordance with the provision of this Act and rules made thereunder.24 The scheme of section 13(4) read with rule 8(1) therefore makes it clear that the delivery of a possession notice together with affixation on the property and publication is one mode of taking “possession” under section 13(4). This being the case, it is clear that section 13(6) kicks in as soon as this is done as the expression used in section 13(6) is “after taking possession”. Also, it is clear that rule 8(5) to 8(8) also kick in as soon as “possession” is taken under rule 8(1) and 8(2). The statutory scheme, therefore, in the present case is that once possession is taken under rule 8(1) and 8(2) read with section 13(4)(a), section 17 gets attracted, as this is one of the measures referred to in section 13(4) that has been taken by the secured creditor under Chapter III. 24 That this is the general scheme of the Act is also clear from section 17(2) which states that the Debts Recovery Tribunal, when an application is filed before it, shall consider whether any of the measures referred to in section 13(4) taken by the secured creditor are in accordance with the provisions of the Act and rules made thereunder. 13. Rule 8(3) begins with the expression “in the event of”. These words make it clear that possession may be taken alternatively under sub-rule (3). The further expression used in sub-rule (3) is “actually taken” making it clear that physical possession is referred to by rule 8(3). Thus, whether possession is taken under either rule 8(1) and 8(2), or under rule 8(3), measures are taken by the secured creditor under section 13(4) for the purpose of attracting section 17(1). 14. The argument made by the learned counsel for the respondents that section 13(4)(a) has to be read in the light of sub-clauses (b) and (c) is therefore incorrect and must be rejected. Under sub-clause (c), a person is appointed as manager to manage the secured assets the possession of which has been taken over by the secured creditor only under rule 8(3). Further, the rule of noscitur a sociis cannot apply. Sub-clause (b) speaks of taking over management of the business of the borrower which is completely different from taking over possession of a secured asset of the borrower. Equally, sub-clause (d) does not speak of taking over either management or possession, but only speaks of paying the secured creditor so much of the money as is sufficient to pay off the secured debt. These arguments must therefore be rejected. 15. Equally fallacious is the argument that section 13(4) must be read in the light of sections 14 and 15. There is no doubt whatsoever that under section 14(1), the Magistrate takes possession of the asset and “forwards” such asset to the secured creditor. Equally, under section 15 there is no doubt that the management of the business of a borrower must actually be taken over. These are separate and distinct modes of exercise of powers by a secured creditor under the Act. Whereas sections 14 and 15 have to be read by themselves, section 13(4)(a), as has been held by us, has to be read with rule 8, and this being the case, this argument must also be rejected. 16. Yet another argument was made by the learned counsel for the respondents that section 17(3) would require restoration of possession of secured assets to the borrower, which can only happen if actual physical possession is taken over. Section 17(3) is a provision which arms the Debts Recovery Tribunal to give certain reliefs when applications are made before it by the borrower. One of the reliefs that can be given is restoration ofpossession. Other reliefs can also be given under the omnibus section 17(3)(c). Merely because one of the reliefs given is that of restoration of possession does not lead to the sequitur that only actual physical possession is therefore contemplated by section 13(4), since other directions that may be considered appropriate and necessary may also be given for wrongful recourse taken by the secured creditor to section 13(4). This argument again has no legs to stand on. 17. Another argument made by learned senior counsel for the respondents is that if we were to accept the construction of section 13(4) argued by the appellants, the object of the Act would be defeated. As has been pointed out hereinabove in the Statement of Objects and Reasons of the original enactment, paragraphs 2(i) and 2(j) make it clear that the rights of the secured creditor are to be exercised by officers authorised in this behalf in accordance with the rules made by the Central Government. Further, an appeal against the action of any bank or financial institution is provided to the concerned Debts Recovery Tribunal. It can thus be seen that though the rights ofa secured creditor may be exercised by such creditor outside the court process, yet such rights must be in conformity with the Act. If not in conformity with the Act, such action is liable to be interfered with by the Debts Recovery Tribunal in an application made by the debtor/borrower. Thus, it can be seen that the object of the original enactment also includes secured creditors acting in conformity with the provisions of the Act to realise the secured debt which, if not done, gives recourse to the borrower to get relief from the Debts Recovery Tribunal. Equally, as has been seen hereinabove, the Statement of Objects and Reasons of the Amendment Act of 2004 also make it clear that not only do reasons have to be given for not accepting objections of the borrower under section 13(3-A), but that applications may be made before the Debts Recovery Tribunal without making the onerous pre-deposit of 75% which was struck down by this Court in Mardia Chemicals (supra). The object of the Act, therefore, is also to enable the borrower to approach a quasijudicial forum in case the secured creditor, while taking any of the measures under section 13(4), does not follow the provisions of the Act in so doing. Take for example a case inwhich a secured creditor takes possession under rule 8(1) and 8(2) before the 60 days’ period prescribed under section 13(2) is over. The borrower does not have to wait until actual physical possession is taken (this may never happen as after possession is taken under rule 8(1) and 8(2), the secured creditor may go ahead and sell the asset). The object of providing a remedy against the wrongful action of a secured creditor to a borrower will be stultified if the borrower has to wait until a sale notice is issued, or worse still, until a sale actually takes place. It is clear, therefore, that one of the objects of the Act, as carried out by rule 8(1) and 8(2) must also be subserved, namely, to provide the borrower with instant recourse to a quasi-judicial body in case of wrongful action taken by the secured creditor. 18. Another argument that was raised by learned senior counsel for the respondents is that the taking of possession under section 13(4)(a) must mean actual physical possession or otherwise, no transfer by way of lease can be made as possession of the secured asset would continue to be with theborrower when only symbolic possession is taken. This argument also must be rejected for the reason that what is referred to in section 13(4)(a) is the right to transfer by way of lease for realising the secured asset. One way of realising the secured asset is when physical possession is taken over and a lease of the same is made to a third party. When possession is taken under rule 8(1) and 8(2), the asset can be realised by way of assignment or sale, as has been held by us hereinabove. This being the case, it is clear that the right to transfer could be by way of lease, assignment or sale, depending upon which mode of transfer the secured creditor chooses for realising the secured asset. Also, the right to transfer by way of assignment or sale can only be exercised in accordance with rules 8 and 9 of the 2002 Rules which require various pre-conditions to be met before sale or assignment can be effected. Equally, transfer by way of lease can be done in future in cases where actual physical possession is taken of the secured asset after possession is taken under rule 8(1) and 8(2) at a future point in time. If no such actual physical possession is taken, the right to transfer by way of assignmentor sale for realising the secured asset continues. This argument must also, therefore, be rejected. We fail to understand what relevance Explanation II could possibly have for a completely different statutory setting, namely, that of the SARFAESI Act and the 2002 Rules thereunder. For the purpose of the Transfer of Property Act, a person acquiring immovable property shall be deemed to have notice of the title, if any, of any person who is for the time beingin actual possession thereof. For the purpose of the SARFAESI Act read with the 2002 Rules, the taking of possession by a secured creditor of the secured asset of the borrower would include taking of possession in any of the modes prescribed under rule 8, as has been held by us hereinabove. This argument must also, therefore, be rejected. If the whole of paragraph 74 is read together with the extracted passage, it becomes clear that what is referred to in the extracted passage is the procedure provided by rule 8(3). It is clear that the authorised officer’s powers, once possession is taken under rule 8(3), include taking of steps for preservation and protection of the secured assets which is referred to in theextracted portion. Thus, the final conclusion by the Bench, though general in nature, is really referable to possession that is taken under rule 8(3) of the 2002 Rules. Whether possession taken under rule 8(1) and 8(2) is called symbolic possession or statutory possession, the fact remains that rule 8(1) and rule 8(2) specifically provide for a particular mode of possession taken under section 13(4)(a) of the Act. This cannot be wished away by an observation made by this Court in a completely different context in order to repel an extreme argument. This Court was only of the opinion that the extreme argument made, as reflected in paragraph 71 of the judgment, would have to be rejected. This judgment therefore does not deal with the problem before us: namely, whether a section 17(1) application is maintainable once possession has been taken in the manner specified under rule 8(1) of the 2002 Rules. “35. Therefore, there is no justification for the conclusion that the Receiver appointed by the Magistrate is also required to follow Rule 8 of the Security Interest (Enforcement) Rules, 2002. The procedure to be followed by the Receiver is otherwise regulated by law. Rule 8 provides for the procedure to be followed by a secured creditor taking possession of the secured asset without the intervention of the court. Such a process was unknown prior to the SARFAESI Act. So, specific provision is made under Rule 8 to ensure transparency in taking such possession. We do not see any conflict between different procedures prescribed by law for taking possession of the secured asset. The finding of the High Court in our view is unsustainable. 36.1. (i) The first method would be where the secured creditor gives the requisite notice under Rule 8(1) and where he does not meet with any resistance. In that case, the authorised officer will proceed to take steps as stipulated under Rule 8(2) onwards to take possession and thereafter for sale of the secured assets to realise the amounts that are claimed by the secured creditor. 36.2. (ii) The second situation will arise where the secured creditor meets with resistance from the borrower after the notice under Rule 8(1) is given. In that case he will take recourse to the mechanism provided under Section 14 of the Act viz. making application to the Magistrate. The Magistrate will scrutinise the application as provided in Section 14, and then if satisfied, appoint an officer subordinate to him as provided under Section 14(1-A) to take possession of the assets and documents. For that purpose the Magistrate may authorise the officer concerned to use such force as may be necessary. After the possession is taken the assets and documents will be forwarded to the secured creditor. 36.3. (iii) The third situation will be one where the secured creditor approaches the Magistrate concerned directly under Section 14 of the Act. The Magistrate will thereafter scrutinise the application as provided in Section 14, and then if satisfied, authorise a subordinate officer to take possession of the assets and documents and forward them to the secured creditor as under clause 36.2. (ii) above. When this Court referred to the first method of taking possession of secured assets in paragraph 36.1. (i), this Court spoke of a case in which, once possession notice is given under rule 8(1), no resistance is met with. That is why, thisCourt states that steps as stipulated under rule 8(2) onwards to take possession, and thereafter, for sale of the secured assets to realise the amounts that are claimed by the secured creditor would have to be taken, meaning thereby that advertisement must necessarily be given in the newspaper as mentioned in rule 8(2), after which steps for sale may take place. This case again does not deal with the precise problem that is before the Court in this case. The observation made in paragraph 36.1. (i), which is strongly relied upon by the Full Bench of the High Court, to arrive at the conclusion that actual physical possession must first be taken before the remedy under section 17(1) can be availed of by the borrower, does not flow from this decision at all. Though there was no focused argument on the controversy before us, this Court did recognise that possession may be taken over under rule 8 either symbolically or physically, making it clear that two separate modes for taking possession are provided for under rule 8. “45. As noticed earlier, the creditor took over symbolic possession of the property on 20.06.2013. Thereupon, it transferred the property to the sole bidder ITC and issued a sale certificate for Rs. 515,44,01,000/- on 25.02.2015. On the same day, i.e., 25.02.2015, the creditor applied for takingphysical possession of the secured assets under Section 14 of the Act. 46. According to the debtor, since Section 14 provides that an application for taking possession may be made by a secured creditor, and the creditor having ceased to be a secured creditor after the confirmation of sale in favour of the auction purchaser, was not entitled to maintain the application. Consequently, therefore, the order of the District Magistrate directing delivery of possession is a void order. This submission found favour with the High Court that held that the creditor having transferred the secured assets to the auction purchaser ceased to be a secured creditor and could not apply for possession. The High Court held that the Act does not contemplate taking over of symbolic possession and therefore the creditor could not have transferred the secured assets to the auction purchaser. In any case, since ITC Ltd. was the purchaser of such property, it could only take recourse to the ordinary law for recovering physical possession. “8. Operation of transfer.— Unless a different intention is expressed or necessarily implied, a transfer of property passes forthwith to the transferee all the interest which the transferor is then capable of passing in the property and in the legal incidents thereof. Section 13(6) of the SARFAESI Act makes it clear that a different intention is so expressed by the Act, as any transfer of a secured asset after taking possession thereof, shall vest in the transferee all rights in the secured asset so transferred as if the transfer had been made by the owner of such securedasset. It is clear, therefore, that statutorily, under section 13(6), though only the lesser right of taking possession, constructive or physical, has taken place, yet the secured creditor may, by lease, sale or assignment, vest in the lessee or purchaser all rights in the secured asset as if the transfer had been made by the original owner of such secured asset. This aspect of the matter does not appear to have been noticed in the aforesaid judgment. The ultimate conclusion in the said judgment is, however, correct as a secured creditor remains a secured creditor even after possession is taken over as the fiction contained in section 13(6) does not convert the secured creditor into the owner of the asset, but merely vests complete title in the transferee of the asset once transfer takes place in accordance with rules 8 and 9 of the 2002 Rules. This appendix makes it clear that statutorily, constructive or physical possession may have been taken, pursuant to which a sale notice may then be issued under rule 8(6) of the 2002 Rules. Appendix IV-A, therefore, throws considerable light on the controversy before us and recognises the fact that rule 8(1) and 8(2) refer to constructive possession whereas rule 8(3) refers to physical possession. We are therefore of the view that the Full Bench judgment is erroneous and is set aside. The appeals are accordingly allowed, and it is hereby declared that the borrower/debtor can approach the Debts Recovery Tribunal under section 17 of the Act at the stage of the possession notice referred to in rule 8(1) and 8(2) of the 2002 Rules. The appeals are to be sent back to the Court/Tribunal dealing with the facts of each case to apply this judgment and thereafter decide each case in accordance with the law laid down by this judgment.